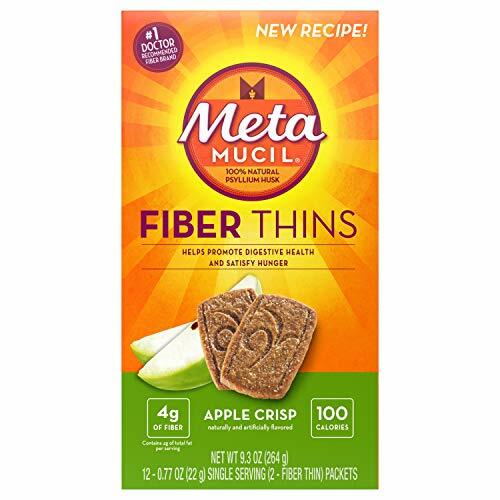 Metamucil Apple Crisp Fiber Thins are delicious crunchy fiber snacks that provide 4 grams of fiber with just 100 calories per serving (4 g total fat). They help satisfy hunger and contain over 15% of your daily recommended value of fiber to help promote digestive health. From Metamucil, the #1 doctor-recommended fiber brand. 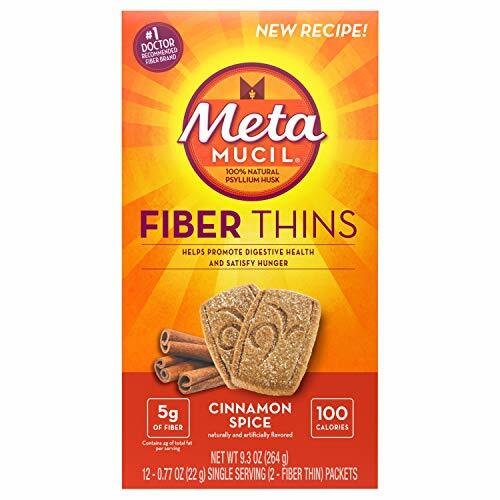 Power your health from the inside with Metamucil Multi-health fiber powder by Meta – a great way to add fiber to your day. Metamucil is the only leading fiber supplement containing psyllium fiber for multi-health benefits. 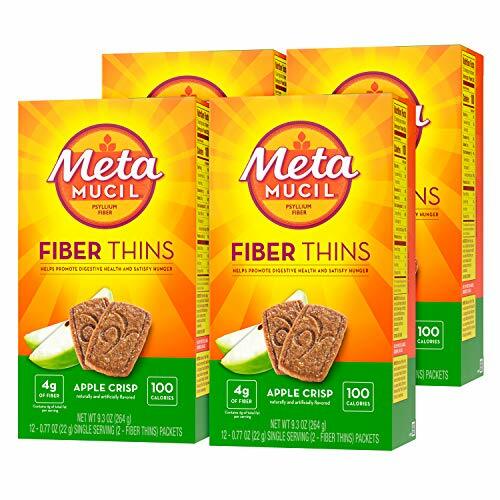 Metamucil Multi-Health fiber powder helps you feel less hungry between meals*. 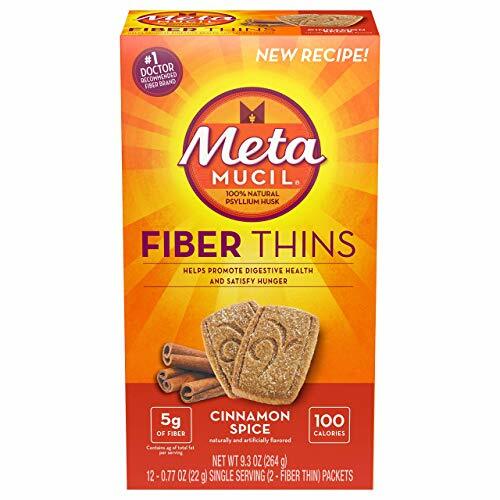 No surprise Metamucil is the #1 doctor-recommended fiber brand. †Diets low in saturated fat and cholesterol that include 7 grams of soluble fiber per day from psyllium husk. One adult serving of Metamucil Powder has 2.4 grams of this soluble fiber. *THESE STATEMENTS HAVE NOT BEEN EVALUATED BY THE FOOD AND DRUG ADMINISTRATION. THIS PRODUCT IS NOT INTENDED TO DIAGNOSE, TREAT, CURE, OR PREVENT ANY DISEASE. "Not all Fiber is created equal. 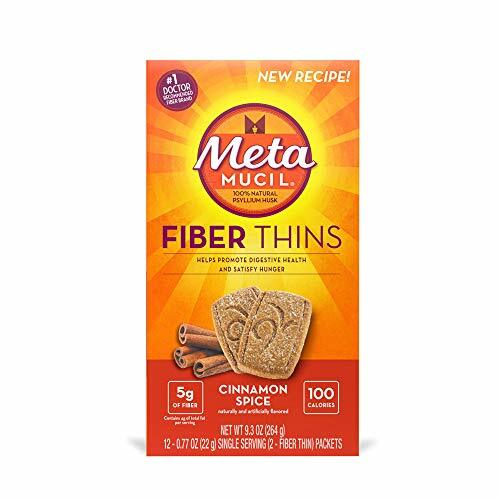 Metamucil is the only leading fiber supplement containing Psyllium, the Super Fiber that provides helps promote digestive health and satisfy hunger between meals. 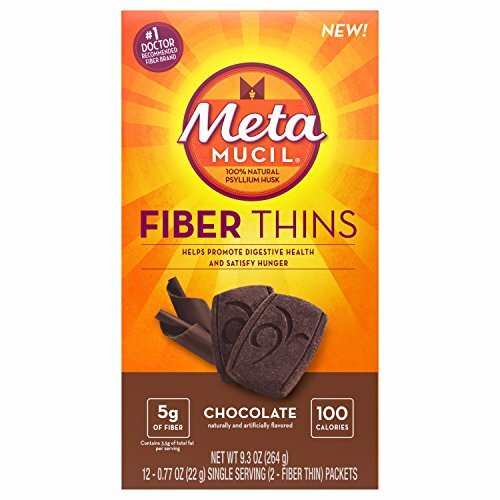 Metamucil Chocolate Fiber Thins are delicious crunchy fiber snacks that provide 5 grams of fiber per serving, and contain just 100 calories (4.5 g total fat per serving). No surprise Metamucil is the #1 doctor-recommended fiber brand. THESE STATEMENTS HAVE NOT BEEN EVALUATED BY THE FOOD AND DRUG ADMINISTRATION. THIS PRODUCT IS NOT INTENDED TO DIAGNOSE, TREAT, CURE, OR PREVENT ANY DISEASE." Power your health from the inside with Meta Fiber Wafers—a great-tasting, easy way to boost your daily fiber intake. 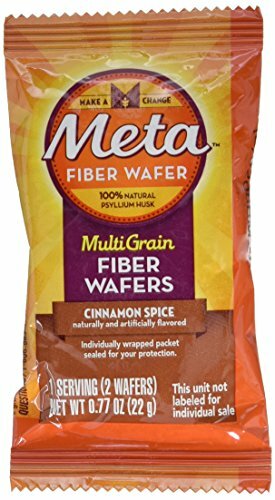 Meta Fiber Wafers contain psyllium, the same fiber in Metamucil, which is the #1 doctor-recommended brand of fiber. These delicious crunchy fiber snacks help promote digestive health, provide 5 grams of fiber per serving, and contain just 100 calories (4.5 g total fat per serving). Fiber just got delicious.